Peak Week: Get Tips For Final Contest Prep! Enter the 'peak week,' a grueling final step to help you achieve maximum muscle definition and a shredded physique. Get tips on water consumption, sodium intake and more right here! You read Staying Lean and Healthy in College, tailored the advice to your personal needs, and successfully shed unwanted pounds while increasing lean mass. You graduated to the tips in Uncovering the Truth About Abs and through increased dedication and diligence, began to carve out noticeable muscle definition. Your diet is clean, your exercise regimen is intense, but you have hit a plateau where progress seems impossible. Simply put, you are doing everything in your power to achieve the cuts and six packs seen in magazines and advertisements, but your efforts are fruitless. 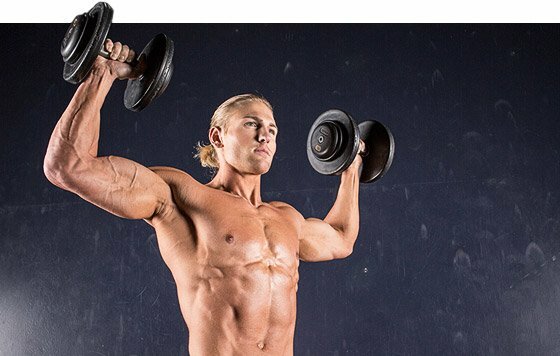 Enter the "peak week," a grueling final step to help you achieve maximum muscle definition and a shredded physique. Similar processes are followed by bodybuilders and models alike as they dial in to the important competition or photo shoot. Once you finish this seven-day program, however, take pictures because not only are the techniques of peak week unsustainable over the long term, but results from a successful process are fleeting. "Water is necessary to sustain normal body processes." The manipulation of water intake and retention is by far the most vital facet of a successful peak week. An essential nutrient that comprises more than 60% of an individual's body composition, water is necessary to sustain normal body processes. However, it is this same nutrient, in the form of subcutaneous fluid, that covers individual muscle striations much like a thin layer of body fat. Specifically, about 30% of ingested fluids end up in some layer of the skin. The result is an unwanted "smooth" physique lacking detailed definition. Unlike body fat, though, subcutaneous water can be eliminated within a matter of days if done correctly. Basically, increase water intake to more than one gallon per day for the first two days of the week, followed by gradual reduction in intake until only trace amounts are consumed on the seventh day. Because water is an essential nutrient that contains electrolytes, certain minerals must be monitored when water is gradually depleted. Below are suggestions for sodium and potassium intake as water consumption is decreased. The most abundant biological molecules, carbohydrates play a major role in energy storage and transport, structural functions, and immune system function. On the other hand, even slight excess consumption of this nutrient can lead to increased glycogen formation-which leads to fat storage. In the short run, carbohydrate manipulation is vital to achieve a striated physique rather than a smooth and undefined one. Successful carbohydrate cycling for a peak week also varies depending on the individual and his or her respective metabolism, so what follows is a cycle that worked for me. Personally, I tend to watch my carbohydrate consumption very carefully because of a slower than average resting metabolic rate. I have trouble peaking and achieving the "shredded" look, so my carbohydrate cycle ends with only trace amounts consumed. Also, my ultimate goal is more focused on definition than mass, so I tend to sacrifice size for striation. On the other hand, those who aim for maximum mass and metabolize carbohydrates more quickly should not bring their consumption to trace amounts. Such a practice may result in a depleted or famished physique, where the muscles are not as full as can be. "I focus on consuming complex carbohydrates in the form of whole grains and oats, however, making sure to stay away from the simple carbohydrates found in sugary foods." It is widely recommended that an adult consumes approximately 40-55% of calories from carbs, so I begin the peak week with consumption significantly higher than this range. I focus on consuming complex carbohydrates in the form of whole grains and oats, however, making sure to stay away from the simple carbohydrates found in sugary foods. On this first day, every meal has a carb component. As the week progresses, I decrease carbohydrate consumption from the later meals of my day. By the end of the week, I am only consuming carbs during breakfast and around strenuous workouts, and on the day of the competition or photo shoot, I reserve a simple carbohydrate snack for immediately before the event. Sodium is an essential nutrient in extra cellular fluid. Because of its role as an electrolyte and its chemical properties, blood sodium and body water have a direct relationship--more sodium equals greater water retention. Therefore, start the week with normal sodium consumption of about 1750-2000 mg. Slowly decrease this amount until only trace amounts of sodium are consumed on the seventh day. Be aware that severe and prolonged sodium depletion can cause complications consistent with hyponatremia. Although severe sodium depletion only occurs during the last two days of the week, slight increases in Vitamin B6, calcium, iron, and magnesium are suggested precautions. Like sodium, potassium is also an essential nutrient; in intracellular fluid. The constant flow of sodium and potassium in and out of cells regulates fluid balance and plays a major role in muscle contractions. Therefore, with decreasing water and sodium intake, muscle cramping is a common problem. To prevent such difficulties, ensure that potassium intake moves in conjunction with sodium depletion. Simply start the week with a normal potassium level of about 3000 mg and steadily increase this amount until approximately 6000 mg are consumed on the seventh and final day of peaking. The following table assumes that Sunday is when the competition or photo shoot occurs. Preparation H, a topical ointment used to treat hemorrhoids, is a little-known weapon used by professional bodybuilders and models prior to a contest or photo shoot. Because this ointment treats hemorrhoids by extracting excess water from swollen blood vessels, Preparation H is extremely effective in removing subcutaneous water when applied to the skin. Simply apply it two or three times a few hours before stepping on stage or in front of a camera. Alcohol, especially red wine, has special digestive properties that increase vascularity when consumed prior to a competition or photo shoot. Specifically, the ethanol in drinking alcohol does not require digestive breakdown to be absorbed-- it simply passes through the gastrointestinal tract into the bloodstream. Therefore, a cup of red wine thirty minutes to an hour before showtime will result in more noticeable and pronounced vascularity in most parts of the body. Basically, blood flow to major and minor muscle groups increases, causing the physique to appear fuller and causing veins to appear more pronounced. Like the consumption of red wine or other alcoholic beverage, pumping immediately before a competition or photo shoot greatly increases vascularity. When muscles or muscle groups are fatigued via resistance training, blood flow to that particular area increases to sustain oxygen delivery. "Pumping immediately before a competition or photo shoot greatly increases vascularity." As blood flow surpasses normal levels, muscles appear larger and fuller. It is the reason why an individual looks his or her best immediately after a workout, especially the muscle group that has just been fatigued. Therefore, a light, full-body workout with dumbbells or resistance bands is highly recommended prior to a competition or photo shoot. To ensure that all major groups receive some sort of attention, simply work from head to toe, fatiguing muscles such as shoulders and upper back first and ending with muscles such as hamstrings and calves.